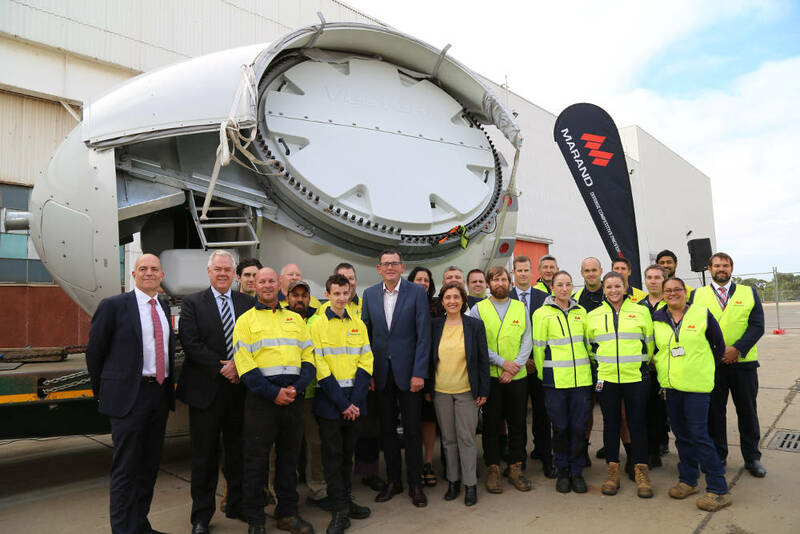 – One of them in February with Marand Precision Engineering for the assembly of the wind turbines hubs and drive trains of the project in Vestas´ new wind turbine manufacturing facility in Geelong, 85 km far from the site of our project. This partnership will allow Vestas to bring its world-class wind turbine sourcing, assembly and testing capabilities to Victoria, thereby supporting and expanding the Victorian renewable energy sector. – The second one with Deakin University this month in order to develop a research project that will seek carbon fibre composites to improve efficiency and drive down the cost of wind turbines. Turbine blades are now the largest single use for carbon fibre, accounting for over 40 per cent of global production. This partnership represents a powerful combination that will position Geelong and Victoria at the forefront of wind energy innovation and commercialisation.- This Local Investment Plan forms part of the commitments under the long term power purchase agreement awarded by the State of Victoria last August in the Victorian Renewable Energy Targets (VRET) 2017 Reverse Auction. Both initiatives are comprised within the `Vestas Renewable Energy Hub´ (VREH) that our contractor has committed to develop in Geelong. This hub concept has been developed driven by its strong existing presence in Victoria and the new market opportunities presented as a result of the Victorian Renewable Energy Action Plan and the New Energy Technologies Sector Strategy. It will involve the investment of approximately AUD3MM by Vestas and directly employment of 21 employees.